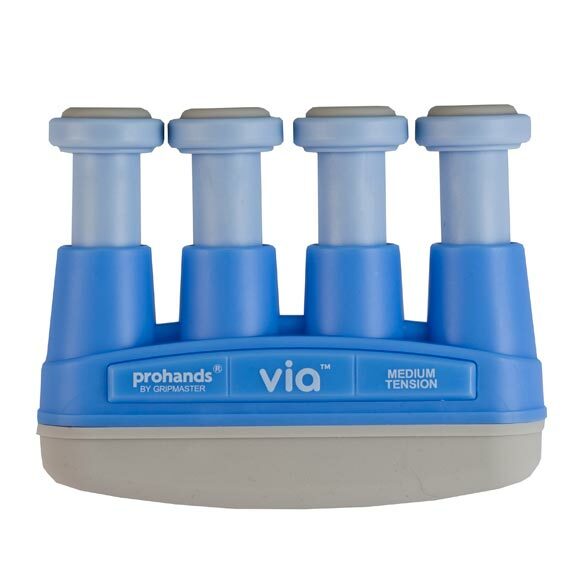 Hand exerciser strengthens hands and improves dexterity with medium resistance. Ideal for arthritics. Ergonomic design has non-slip finger and palm pads. 3 1/2" x 2 3/4". Hand grip exerciser features 6 lbs. resistance. I need to exercise my fingers and this looks like it will be perfect. My husband has difficulty with his fingers. My son saw it and wanted it for Christmas. He's been ill for quite a while and has lost muscle tone in his hands. He thought this might help. After two cervical neck fusions I have lost flexibility and strength in both hand and arms. I thought that this item will help me gain back some strength. To increase strength in hands. Recovering from Shingles of the hand and it is good for rebuilding strength. Helps strengthen my hands after my stroke.